It’s always fun with kids to celebrate the holidays and Valentine’s can be host to all kinds of food fun. I know many families, including ours, that LOVE pizza night. It’s funny how simple traditions/routines can deliver excitement and something we all look forward to sharing. Are we ordering this week? What type are we going to make this week? Can we have…. This year pizza night is moving to Valentine’s Day, because typically it’s a Friday Night Fun treat over here, and I’m sharing up a little extra love right on top with veggies that are going Valentine’s style. Yes, we’re not only eating red, we’re shaping it up to fit in with our seasonal celebration. Place the 1/8 cup olive oil into a glass dish. Add in the garlic by crushing it. I personally use a garlic press. Stir the olive oil and garlic together and let it set to fuse the flavors. Rinse, remove the seeds and dice the peppers. Sauté the peppers in the 2 tablespoons of olive oil over low heat until the peppers are lightly softened, but still slightly crisp. Roll out the pizza dough on a slightly oiled and floured pizza stone. Baste the dough with the olive oil mixture. Top with the 4 oz. of shredded mozzarella cheese. Add in the peppers in the shape of a heart to the center of the pizza. Bake for approximately 20 – 25 minutes or until the crust is golden brown on the bottom and the cheese has fully melted on top. Tomatoes: You can use 2 large tomatoes or several smaller tomatoes to get the heart shaped affect. However, you won’t have to sauté the tomatoes. Instead, stir the diced tomatoes, basil & 2 tablespoons of olive oil together. Add them to the top of the pizza and continue to follow the directions as above. This is awesome! So creative. I am visiting from Katherine’s Corner. Great website. Aw, this is so cute! I love how simple and how festive it is. What a cute idea! I am co-hosting a link party called Wednesdays Adorned From Above Blog Hop and would love to have you share this and any other posts with everyone. It runs from Wednesday through midnight Sunday. Here is the link to the party. Cute! Pizza is such a fun meal for kids to make too 🙂 Thanks for sharing! They can totally get involved in the process – they’ll love putting together the heart! Thank you Jodie for stopping by and linking up this super creative Valentine inspired pizza! I hope to see you next week. Sharing the love via Facebook for your creation. I’ve actually never made my own pizza. This looks cute enough for me to give it a try Thanks. Great idea! Visiting from Shine On Fridays! Another great idea! Will plan on this for Valentine’s here! What a great idea! I will have to give it a try on the next Family Night at out house. What a fun idea for a family Valentine dinner! So lovely!!! Love the colors and fabrics! Thanks so much for sharing the great tutorial! Would love to have you visit me sometime. I will most certainly pop over & visit. Thanks for stopping by …. Sorry the last comment….. I really mean to say … that’s a fun idea!!! Thanks so much for sharing! I love this idea! Thanks for linking up to Friday Food Frenzy! This is a really cute idea. Such a fun Valentine’s / kid cooking project. Great video too! You always have such great ideas. Thanks for sharing on Foodie Friends Friday and we would appreciate it if you would link back your recipes to us. Hope to see you again this week. What a great idea! I’m a new follower from the Sunday Social link-up. If you would like to share this, pop in to my blog, we have the Creative Corner link-up on-going this week. We love to see you there! I love making fun food for the holidays! My kids would be thrilled if I made this! Thanks for sharing at One Creative Weekend! Have a GREAT week – so glad you stopped by! Fun, fun, fun! Thanks for sharing with Share Your Cup. THANK you! It was a fun serve…. I love to play with food :)! Have a great weekend…. Since one of my kids is allergic to gluten, we can’t just run into a pizza place and get a Valentine pizza. Thanks for showing me how to decorate one at home! I featured your idea today on One Creative Weekend! The new party is open. I’d love it if you stopped by, grabbed a featured button, and linked up anything new you’d like to share at OneCreativeMommy.com. You are so welcome! Do you have a good gluten free pizza crust? 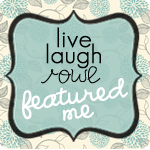 I’ll pop over & check out the feature – THANK YOU! Have a wonderful weekend…. Very cute pizza idea. Thanks for linking up to Saturday Dishes Valentine’s blog hop. This is so cute!! I love that you are taking your normal tradition and switching it up just a little for valentine’s day!! Thanks for linking up to Saturday Dishes! Hope to see you this weekend for chicken recipes!